a place I can trust." We've looked into a bunch of options to help our clients finance repairs over the years. We've used Personal Finance Company in Lee's Summit almost exclusively for 5 years and dozens of our clients have been pleased with their rates and services. If you are interested in financing repairs on your vehicle, contact us for an appointment to determine what needs to be done and to create an initial quote. The application process is a simple paper form or right here, on line, using the apply link below. 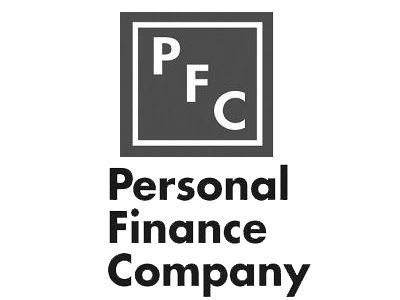 Personal Finance Company (PFC) typically finances repair amounts over $500. Their rates are reasonable and many times offer 3 to 6 months of no interest. Skip the title loan offices or high interest credit cards; you can apply online by clicking their logo to the left or stop in to fill out a 1 page form. It's quick, easy, and saves you money!